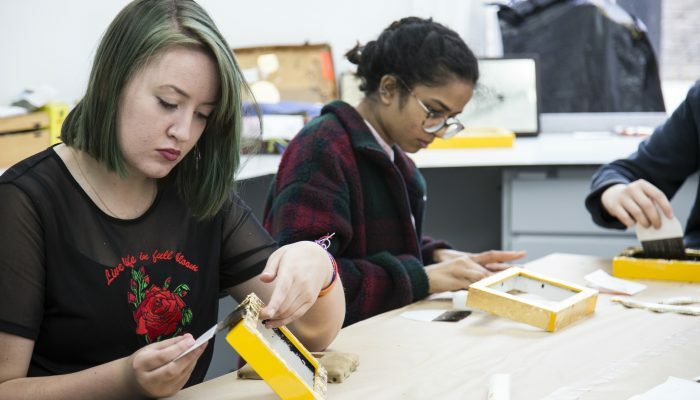 As part of our commitment to widening participation and access to the arts, we aim to encourage younger people to visit the Art School and consider pursuing a further or higher education in fine art, historic carving, conservation or art histories. We have an historic craft skills outreach programme, aimed at students aged 16 and over, which informs and educates young people, and their teachers, about career progression in the specialist fields of wood or stone carving and offers a range of educational activities. 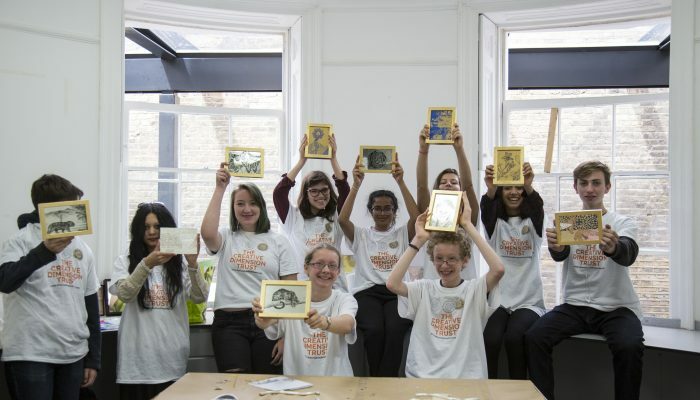 We also work in collaboration with The Creative Dimension Trust (TCDT), a charity that runs fully-funded workshops for 14-18 year-olds from schools across London. Their aim is to enable students to acquire a set of fine hand skills which can be applied or transferred to any profession requiring precision, determination, and dexterity, primarily in the cultural and creative industries. 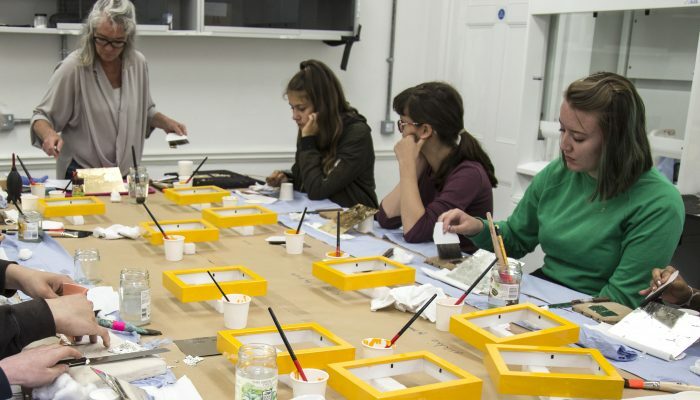 The Creative Dimension Trust run workshops and courses at the Art School in a range of disciplines including gilding, mural painting and printmaking. 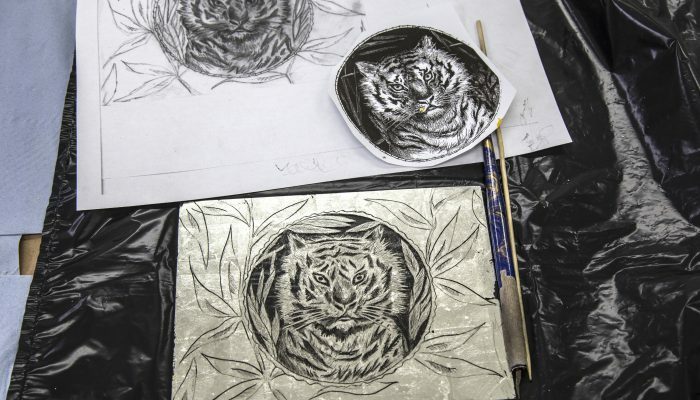 Recent collaborations include an Etching workshop focusing on soft ground etching and sugar lift aquatint with TCDT Tutor Laura Clarke, during November and December 2018, a Gilding & Verre Eglomise course in August 2018 with our Conservation Tutor and gilding expert, Rian Kanduth and an Etching course in our historic Print Room in autumn 2017, where students learned new etching techniques, creating some impressive work. 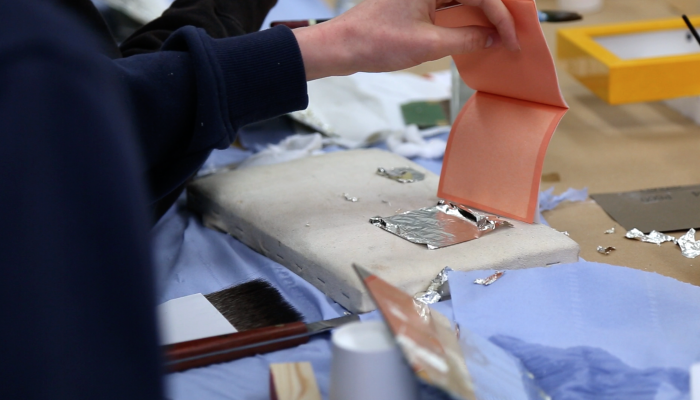 If you’re 14-18 years old and love working with your hands, or know someone who is, you can find out more and apply to take part in a workshop here.